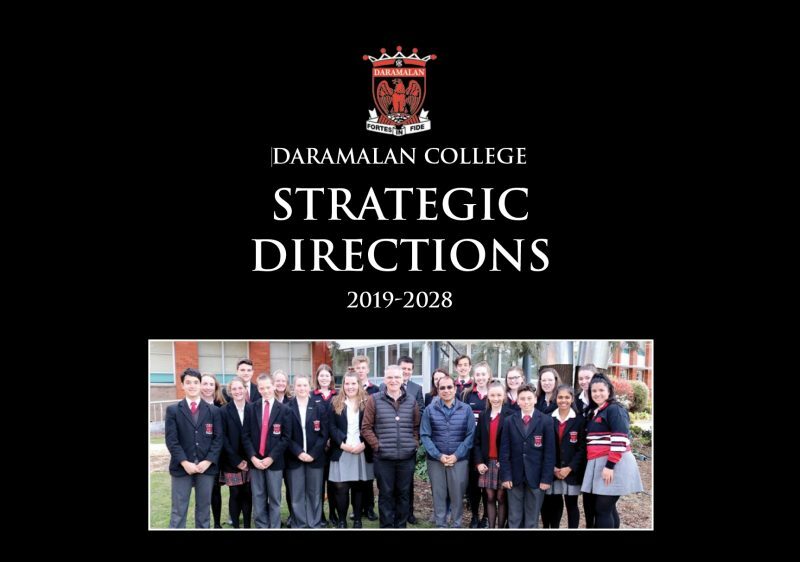 In consultation with all stakeholders and after a long and exhaustive process, Daramalan College has laid out the guiding Directions that will take the College over the next 10 years.. The Direction outlines the Vision and Mission required in creating a school where the staff are qualified and enthusiastic about their teaching; where all staff are actively engaged in professional development; where the principles of quality teaching are paramount; where students experience a sense of belonging and pride; and most importantly, where parents are actively involved in their children’s education. The founding belief of the Missionaries of the Sacred Heart, ‘to be on earth the heart of God’, continues to be reflected in a college culture that lives Jesus’ values of love, faith, compassion, respect, forgiveness, hospitality and acceptance of every individual. An inclusive, safe environment where the staff understand and care for me, where I am challenged and empowered to take ownership of my learning, and supported to participate fully in college life, while learning skills for life, work and further education. My child is acknowledged, nurtured and supported to find their passion and strengths and maximise their potential in a caring, learning, safe environment which is built on respectful and supportive relationships between all members of the school community. I am supported in a collaborative, safe environment that values my opinion, wellbeing, professional and personal growth, and where I am a member of a committed, compassionate and versatile team delivering high quality education and care for our students. Daramalan students are resilient, reliable, self-motivated individuals and team members who are effective communicators, problem solvers, and ready to transition successfully to life after school. A college committed to equity, excellence in learning and developing confident, creative, resilient and informed young people, well positioned to lead fulfilling, responsible and productive lives as active members of our society. View the full document by clicking the link below.